Foursquare has just closed $US33 million in funding from investors including Union Square Ventures, Korean search engine Naver Corp., and Simon Ventures – an investment group backed by the world’s largest property owner Simon Property Group. 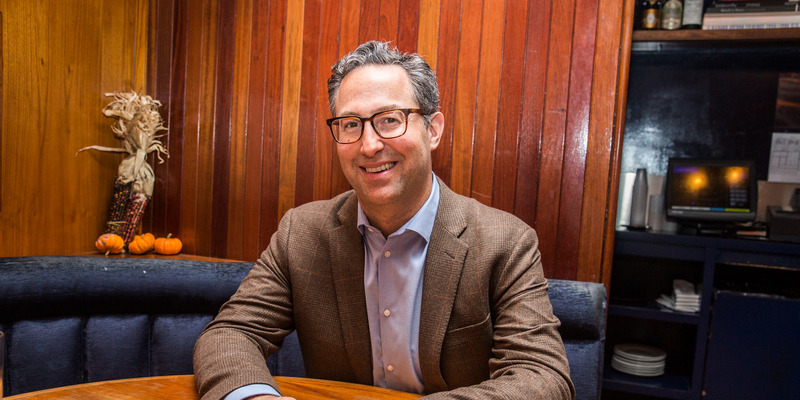 Foursquare CEO Jeff Glueck says that the partnerships with Simon Ventures and Naver Corp. are strategic, and pave the way for the company’s future ambitions. Since Foursquare was founded nearly ten years ago, the company has evolved from a consumer-focused social media app to a powerful geo-location tool used by companies like Microsoft, Tinder, Twitter, and Spotify. Now, the New York-based startup is opening a new headquarters in the Flatiron district, and announcing $US33 million in funding from investors including Union Square Ventures and Simon Ventures – an investment group backed by the world’s largest property owner Simon Property Group. Foursquare last raised $US45 million in 2016, in a deal that was said to have valued the company at about half of the $US650 million valuation it held in 2013. The company declined to share its current valuation following this new round of funding, but confirms that it’s higher than in the 2016 deal. As Glueck points out, Foursquare’s ability to provide location-driven datasets is a compelling lure to many brick and mortar retailers. “In 2018, retailers need new ways to address the stresses of the market, to apply analysis and measure trends, and to find out what drives people into their stores,” Glueck said. This is exactly the sort of data which, in recent years, has become Foursquare’s flagship product: A trove of location-rich analysis reaching more than one billion people each month that can help determine exactly what snags consumer interest. “We’re able to help brands figure out what customers will be excited to hear about…down to what messages inspire people to enter a store,” he said. Among Foursquare’s other lead investors on the Series F round is South Korean search engine Naver Corp., which Glueck said will further the company’s ambitions in Asia, where “we’re only just getting started.” Foursquare already operates a Singapore office, and has partnered with a number of large Asia-based companies including DiDi, Samsung, and Tencent.